Looking to find great outdoor plants near Wembley for your garden in the city, there is no better place you could have gone to. Welcome to Birchen Grove Garden Centre – the place where we have worked for over a decade to bring you the best in gardening. In London and right next to the wonderful Welsh Harp Natural Reserve, our location is ideal for anybody driving across London. Flowering plants are very popular among our customers. They take the biggest portion of most gardens and keep the view alive with an array of colour and fragrances. In our stock, we have annuals, bulbs, perennials, roses, and year-round plants, to name a few. Grow-your-own is another category of outdoor plants near Wembley that our customers like more than the rest. Gardeners who like to grow their own vegetables and fruits, can get seeds, plants, and trees from our premises to start growing today. Trees and shrubs are often available based on the season and only if we have grown enough over the year. The variety we have is, however, enviable, and you will find all sorts of shrubs and trees for all purposes, including eating medication and more. Herbs are very useful plants with many health-related and skincare benefits and beautifying effects. Many of our customers request special herbs that we grow for them while many other herbs are readily available in our inventory. 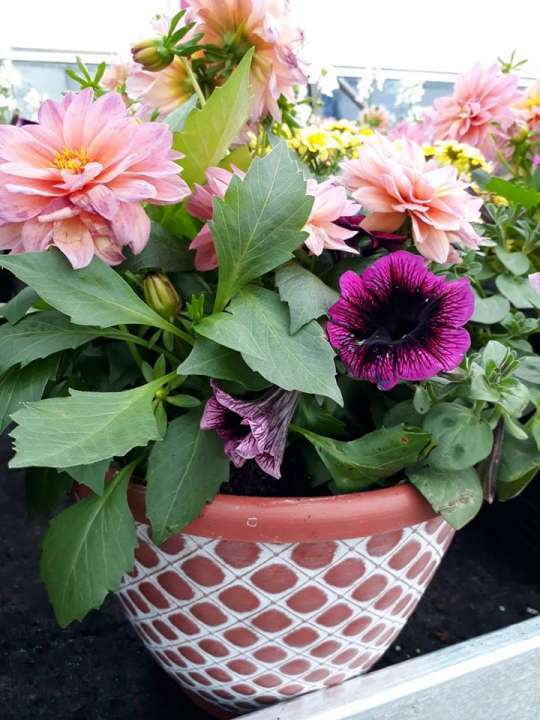 When it comes to gardening and outdoor plants, our garden centre has unbeatable variety and range of products that are always available to our customers. The list above sheds some light on the kind of variety you can expect when you visit us to get outdoor plants near Wembley. You will see endless displays of plants ready for your garden and then there will be some more. Besides this, we also stock a great range of barbeques and garden furniture for your garden! A lot of variety might confuse you. So, it would be prudent to discuss your situation with one of our experts who are always available in the garden centre. Share details of your garden with them as well as of your gardening objectives. This information will let them guide you better and point you to the right plants without delay. They'll be happy to help! With our garden centre at your disposal, you have no reason to delay growing your garden in London. In fact, you can begin this weekend. We are open every week. Visit us to get your favourite outdoor plants near Wembley.